3 Bedroom House To Rent in Nottingham for £800 per Calendar Month. 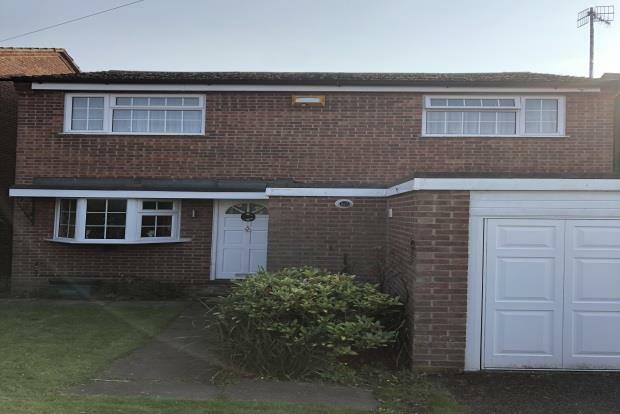 Available June â€“ Large three bedroom detached property located in the sought after area of Arnold. Upon entering the property, you are welcomed by a large kitchen which includes all white goods being, fridge, freezer, washing machine, dishwasher and integrated gas hob and oven. Following through, the property has a traditional feel with two large reception rooms. The dining room comprises of a dining table with chairs and side tables and living room with bookcases and coffee tables. Patio doors are to the rear of the property providing access to the garden. Downstairs also benefits from a newly refurbished WC and shower room with sink and shower. Upstairs are three generous size bedrooms, all equipped with beds, wardrobes and fitted storage. The family bathroom is newly refurbished to a high specification with w.c, sink, bath with overhead rainfall shower. The property offers off-street parking with long driveway. The property also offers some storage in the garage. Please call Jessi, Jessica or Emmie to arrange your viewing on 0115 9620961.